For some, the end of a the year is a time to reflect on what transpired and a time to seek new beginnings. For many, it signifies a fresh start. Out with the old and in with the new. You can make new resolutions or promises to yourself and others so that the coming year will be better. The word resolution is kind of an interesting word. The "solution" part, indicates that you are looking to solve a problem. The "re" means you are solving it again? Are we focusing on promises that haven't come through over and over again? That is kind of depressing if you think about it. I like the idea of wanting to improve myself and to be a better person. But I don't want to forget the past, because that has brought me to where I am today. The "old" or past allows me to become a better person. A better spouse, mother, daughter, sister, friend, neighbor.... My new year's focus this year is to take the old and make it new. I want to breathe new life into what I already have. I can't change the past, but I can bring new life into where I am and be thankful that I have the chance to make a difference. This is a very old china set that was given to me by my husbands grandmother. Her great grandmother lived in the south at the time of the civil war. As the story goes, the yankees were invading and they quickly had to gather their things and leave town immediately. 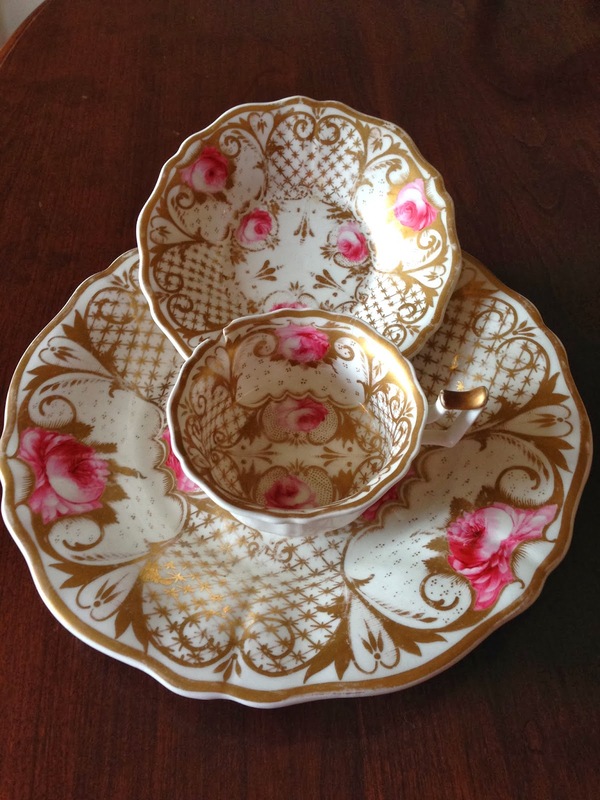 The only thing of value that she was able to grab, was this beautiful china plate, cup and saucer. I was looking at it the other day and thought, why do I have this tucked away in a china cabinet? It's a small reminder of our family past and brings a smile to my face when I look at it. I am going to find a special place for this in the coming weeks. It's a small treasure that makes me happy and reminds me of family. "Auld Lang Syne" - translated as "old long since" or "long long ago" or "for the sake of old times". I will sing this with a different understanding at midnight tonight. Spending Christmas with my family in Brooklyn, NY was always a special treat. The highlight and still very much talked about trip while there, was walking down the block to Mona Lisa's Bakery on 13th ave (yes, we are a very food driven family). I can still smell the bakery today. 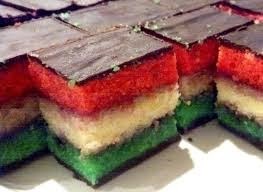 My favorite of all time - the Italian Ribbon Cookie! This is a perfect blend of almond, raspberry and dark chocolate. And, it's so festive! I think of it as heaven in a little bite. I am in the kitchen today working on these and will be working on others over the weekend. 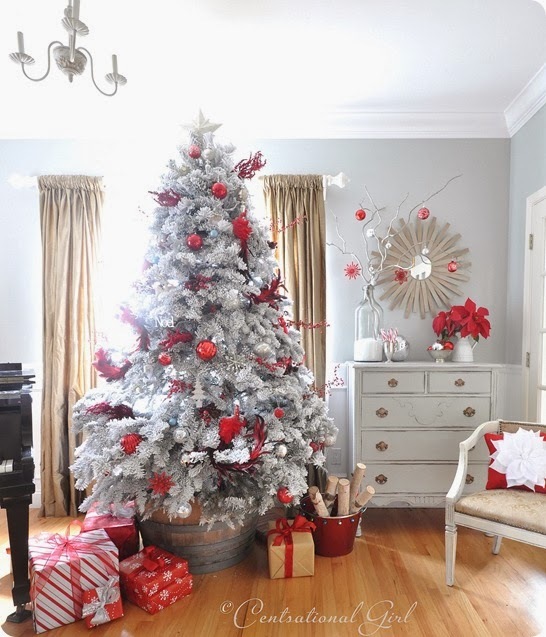 What is the meaning behind all of the gift giving at Christmas? 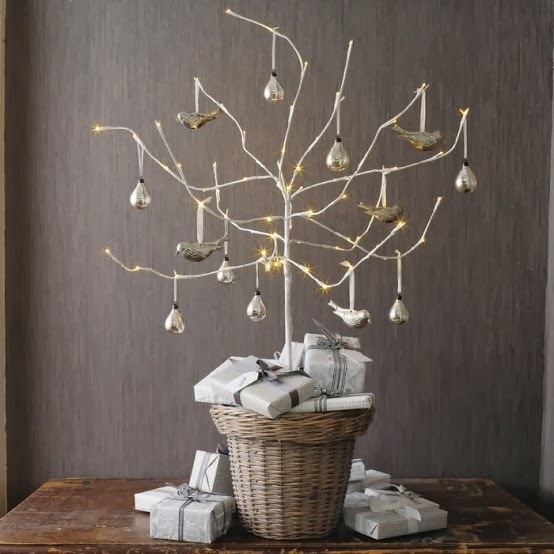 The act of giving a gift has been around for....well its been around for forever really. A gift is meant to be given without the expectation of getting back anything in return. It is a way to say thank you and show gratitude for kindness, mercy and to express joy. It was customary in the early times to give gifts to those of royalty and those destined to rule. Much like the wise men that came to find Jesus and brought gifts of gold, frankincense and myrrh. Biblically, Matthew 2:2 states that the wise men came looking for a king. So, it was natural and customary in that time that they would bring Him gifts. The true story of Santa Claus starts with St. Nicholas who was born during the third century. He was left orphaned at a young age and was obeying the words of Jesus to "sell what you own and give the money to the poor." There are many stories of how he helped others and left them gifts - many times without people knowing where the gift came from. So basically, we are emulating the wise men, giving gifts to Christ our King and St. Nicholas who was following the words of Christ to give to others. 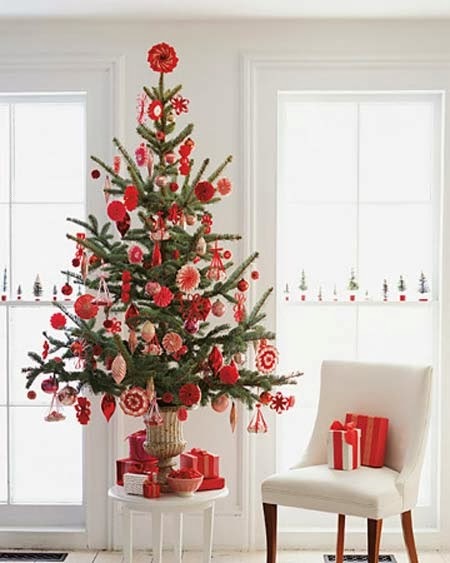 Maybe your gifts are to celebrate your own religious holiday and to give thanks and show love in your own faith. It doesn't matter what faith you practice or why you are giving the gift. Giving, is giving. Gift buying and giving seems to be pretty stressful these days. 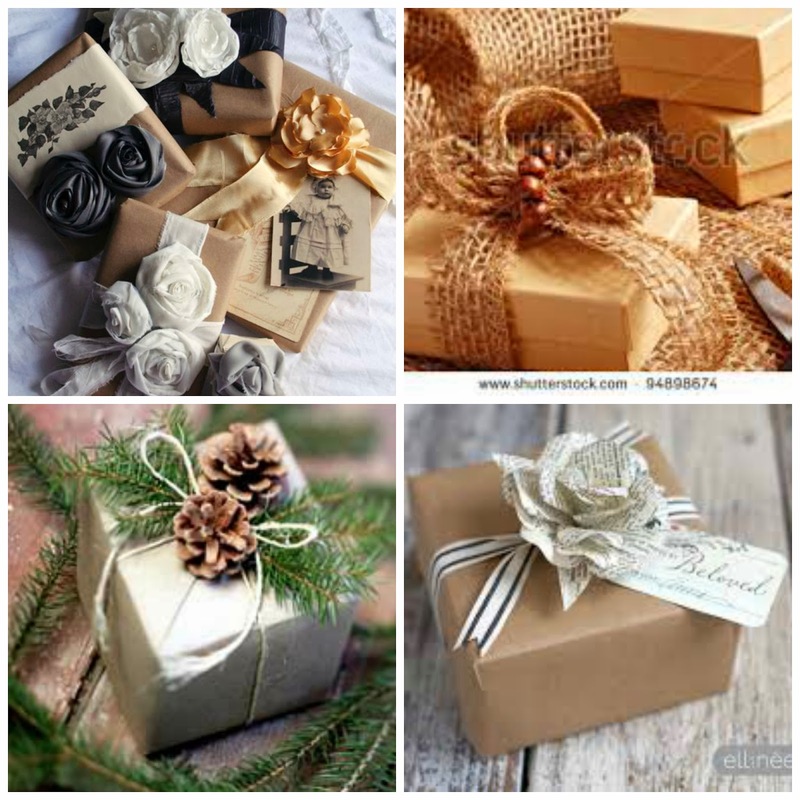 Is it the right gift? Will he/she like it? Does it have value or is it expensive enough? Once you get to this point......you are missing the point. Give a gift from the heart. Give to show appreciation and joy in knowing the other person and letting them know they are important to you. Give because you love them. You can't go wrong if you keep these things in mind. If they are unhappy with the gift, then they are missing the point. 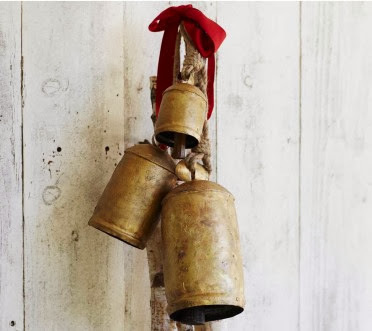 I know, you are thinking, what does this have to do with vintage things, home decor and more......? I guess its the "more" part. And, I don't want people to forget the real reason for giving. As you go buy presents this year, keep the real reason for "giving" in mind. I just realized that there is only one week until Christmas! I don't know about you, but I am a little behind this holiday season. 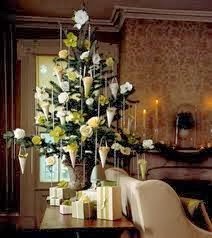 Maybe because I'm taking in all the beauty of the season and not allowing the stress of the season to take over. Maybe? Whatever the reason, I am behind so I'm going to focus on getting back on track - today. 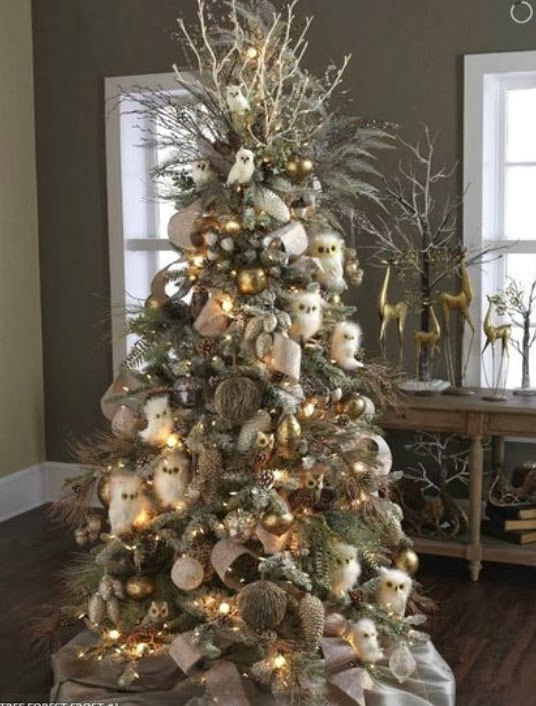 I've spent the last few days, getting some new furniture to work on so in the meantime, I thought I'd post some of my favorite Christmas trees that I've seen this year. They are just gorgeous! I am amazed at all of the creativity that people use when decorating for Christmas. 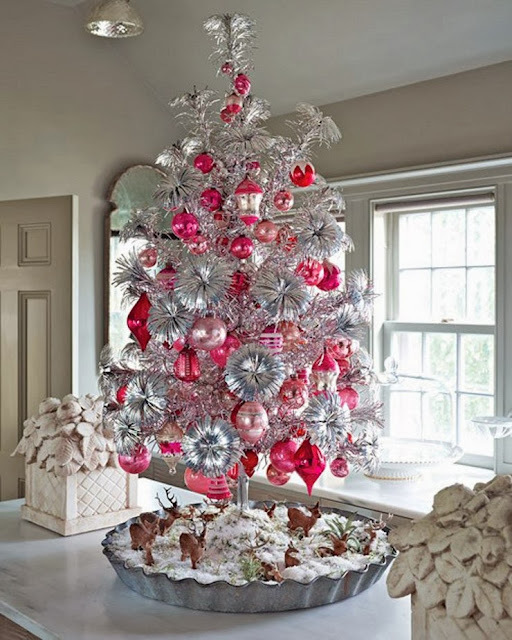 I have been looking at all of the beautiful Christmas trees that people have decorated this year and am stunned at the imagination and the beauty of their trees. 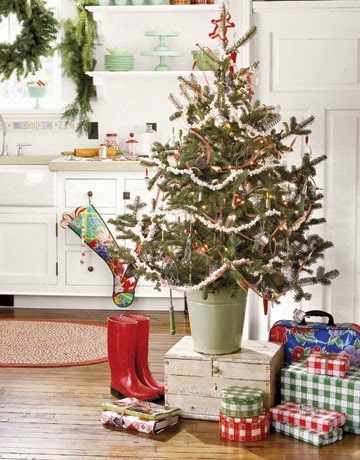 While looking, I also noticed a huge trend in holiday decorating and that is the "miniature Christmas tree". 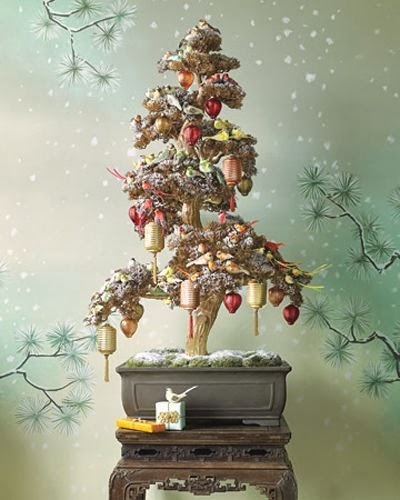 People use them as accents, centerpieces and even as their "true" tree for holiday giving. They are stunning. Take a look and see if you agree! (Pictures are courtesy of Pinterest). 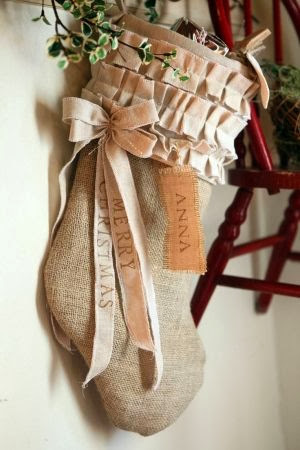 Hanging Christmas stockings by the fire was a tradition that developed in various countries throughout the centuries. The custom is originally derived from the Germanic/Scandinavian figure Odin who was part of Norse Mythology. Children would place their boots filled with carrots, straw or sugar near the chimney for Odin's flying horse Sleipin, to eat. Dating back to the 16th century in Holland, children use to leave their clogs filled with hay for the reindeer of St. Nicholas. He in turn would leave them candy or other treats. 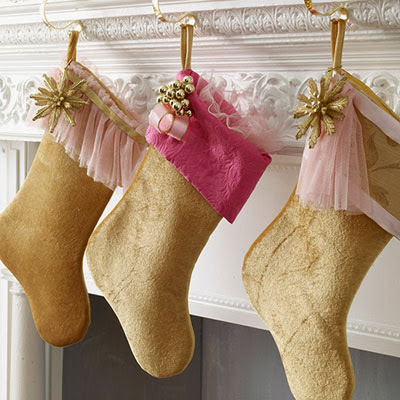 At some point, clogs were replaced with stockings that would naturally hang by the fireplace to dry in the wet winter weather. There is also a popular legend about a man who lived in a village with his three daughters. He was poor and could not afford the dowries needed to allow his daughters to marry. Then one night, St. Nicholas heard of the man’s despair and filled their stockings hanging by the fire with gold. When the family woke the next day, the girls could marry and they all lived happily ever after. Personally, I like the tradition of children leaving clogs by the fire. It’s simple and sweet. 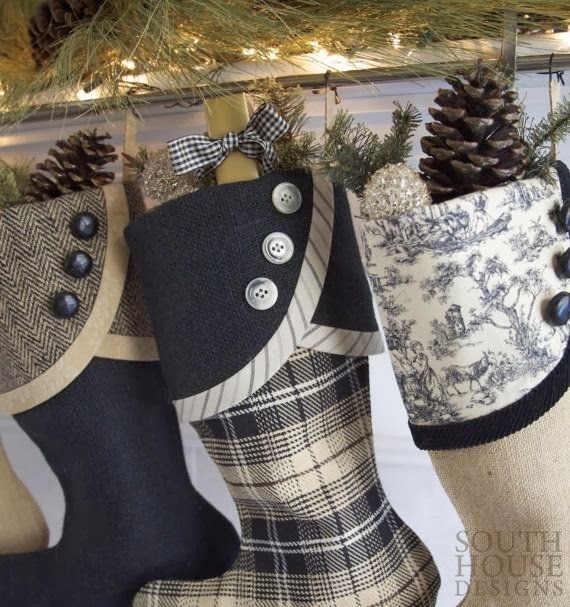 I also love all of the pretty natural stockings that are out today. People are so creative! 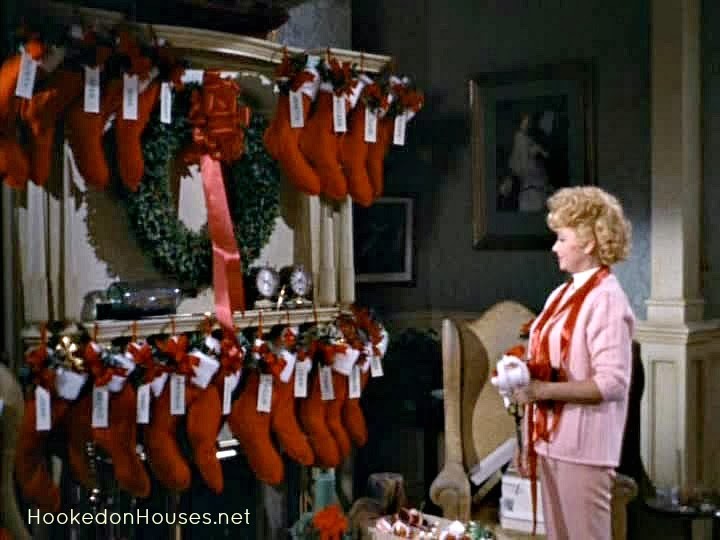 For many of us, the earliest recollection of hanging Christmas stockings comes from the poem above 'A Visit From St. Nicholas’ and the famous line “the stockings were hung by the chimney with care in the hopes that St. Nicholas soon would be there’, written in 1823 by Clement Clarke Moore. 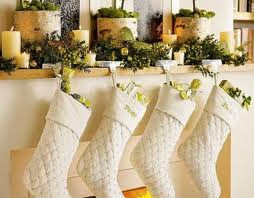 Stockings use to have fruit, nuts and candies in them. We pretty much keep to that tradition, but also add a few other goodies. My brother use to keep the orange found at the bottom of his stocking all year long. By the end of the year, the orange became petrified! I am working on some new projects for the New Year and can’t wait to show you. For now, I’m having fun with the holidays. Enjoy these sweet natural homemade stockings found in various places. 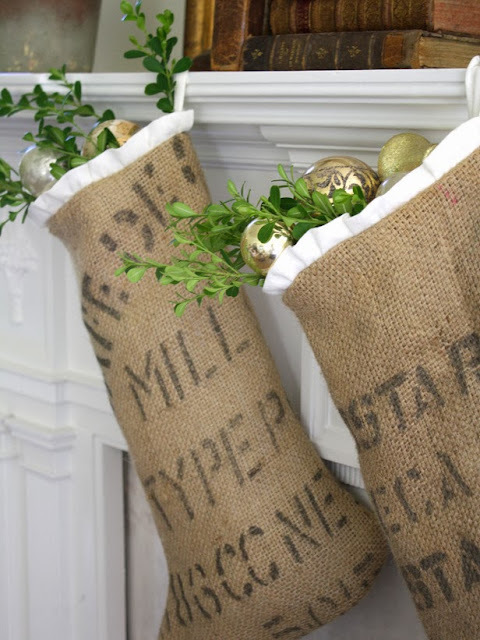 These were stockings made from grain sacks. This picture from "Yours, Mine and Ours" below....made me laugh. Can you imagine? 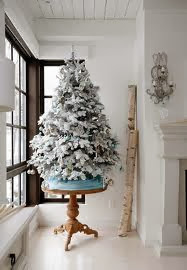 Silver bells, silver bells......it's Christmastime in the city. Ring a ling, hear them ring, soon it will be Christmas day! Silver bells and gold bells. 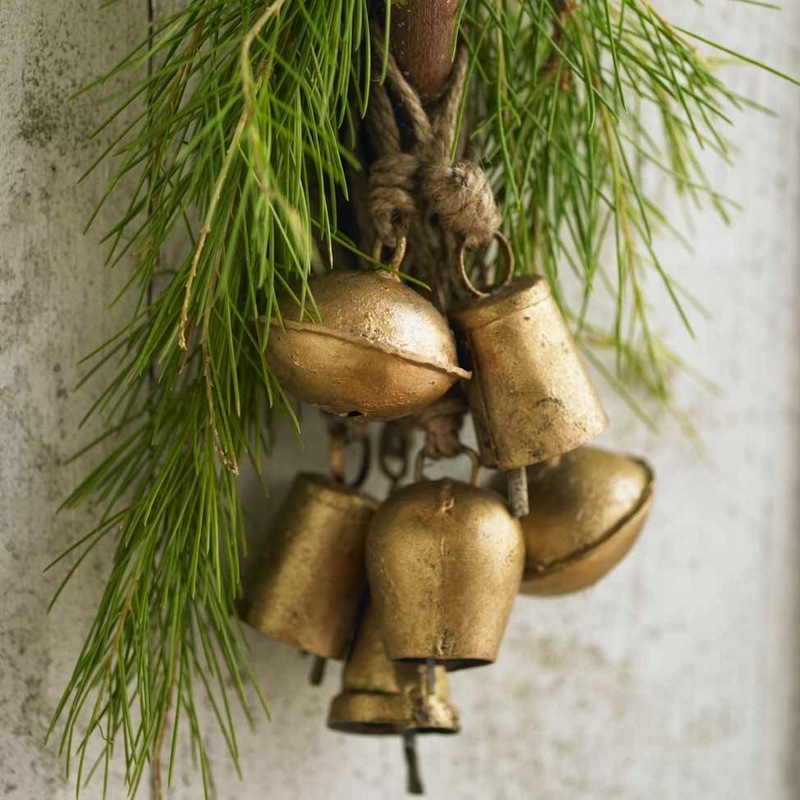 Either way, bells are a great decoration at holiday time. 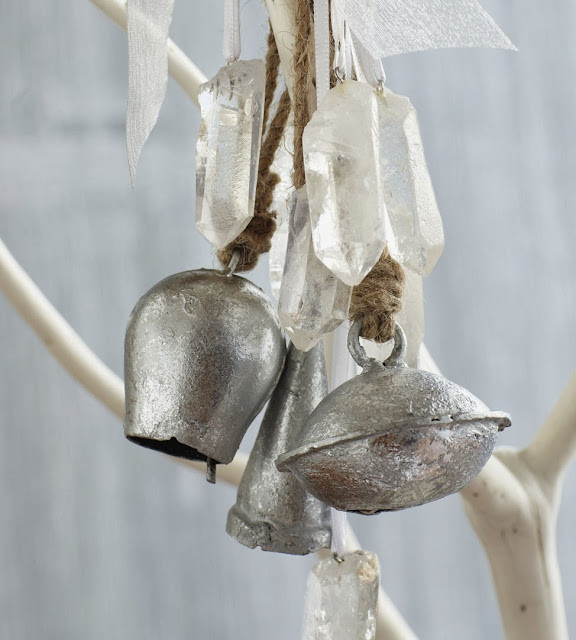 Enjoy these bells from Vivaterra. Just a little bit different. I love holiday wreaths. Just looking at them makes me happy! 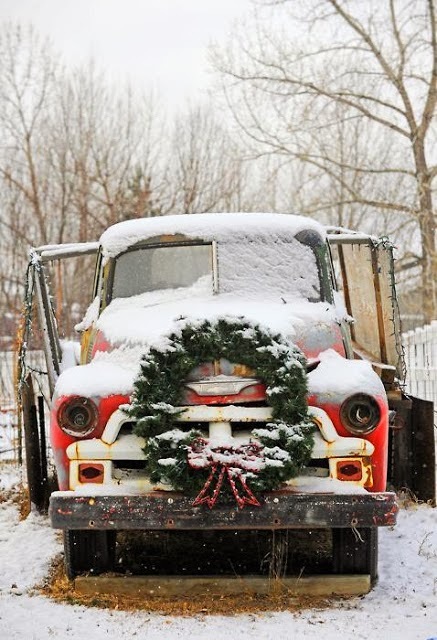 As you drive around today, look around and notice all of the wreaths. They are everywhere! How can you not smile when you look at this truck? Wreaths are more than just decorations and there is a lot of history behind the wreath (not sure why, but I've been in research mode lately...). 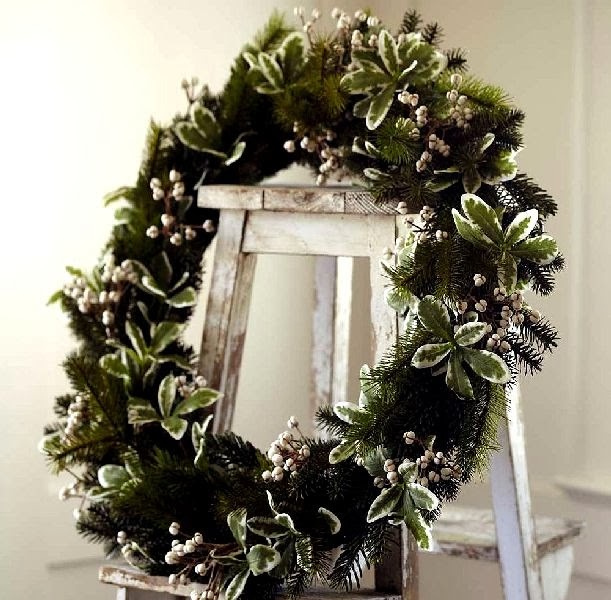 The wreath comes from the word "writhen" which means "to writhe or twist". 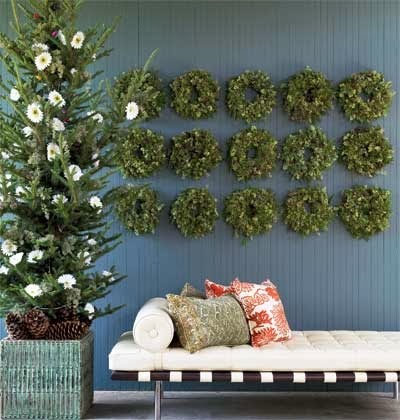 The art of hanging wreaths originated from the Romans who hung wreaths on their doors as signs of victory. Romans also wore them as victors in sporting events - much like we do today at the Olympics. Women wore them as symbols of pride and at weddings. 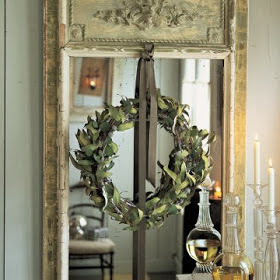 The wreath has significant meaning for the season. It's circular shape represents eternity, for it has no beginning and no end. From a Christian perspective, it represents an unending circle of life. 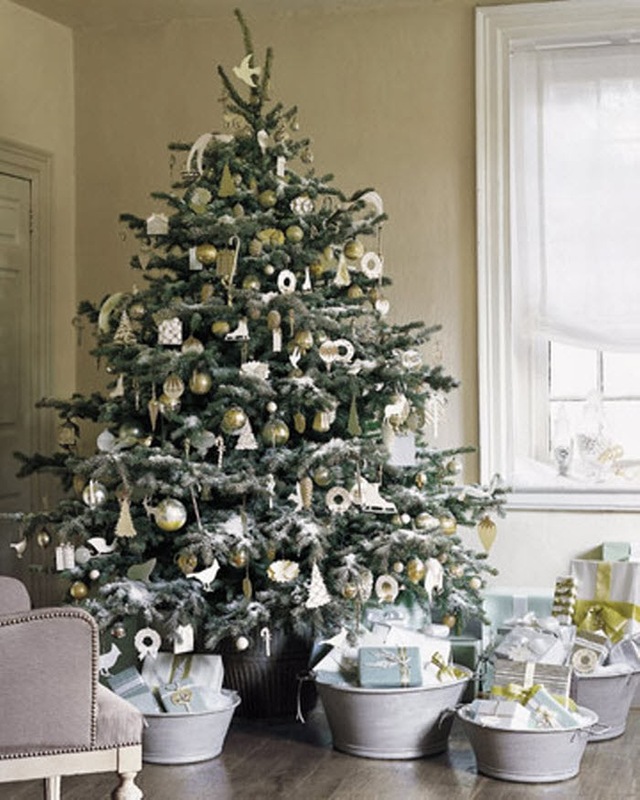 The evergreen, most frequently used in making wreathes, symbolizes growth and everlasting life. Long ago during the cold December darkness in Eastern Europe, people would gather wreaths of evergreen as signs of hope and new light in the coming spring. Knowing about these reasons....makes me love the wreath even more! 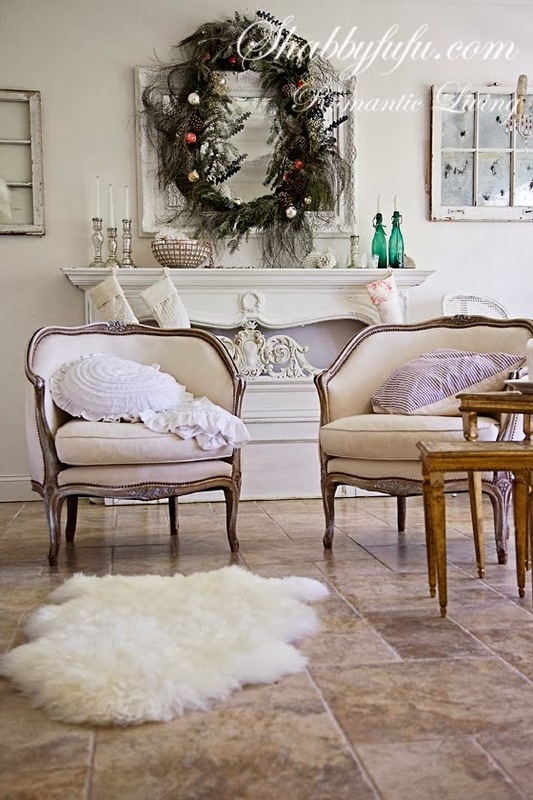 I love the simplicity of hanging them on a mirror. Aren't these beautiful? Here are a few more that caught my eye courtesy of Pinterest. 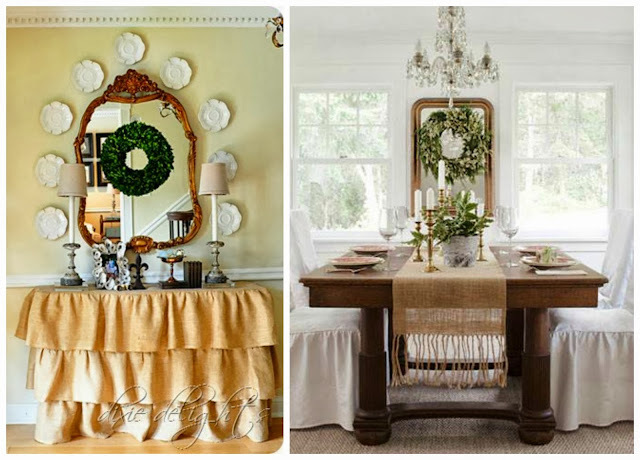 Where do you hang your wreaths? Getting to the dark wax stage of finishing your piece is both exciting and intimidating. What is the overall look that you are trying to achieve? Do you want an aged piece that looks like it has a natural worn look? 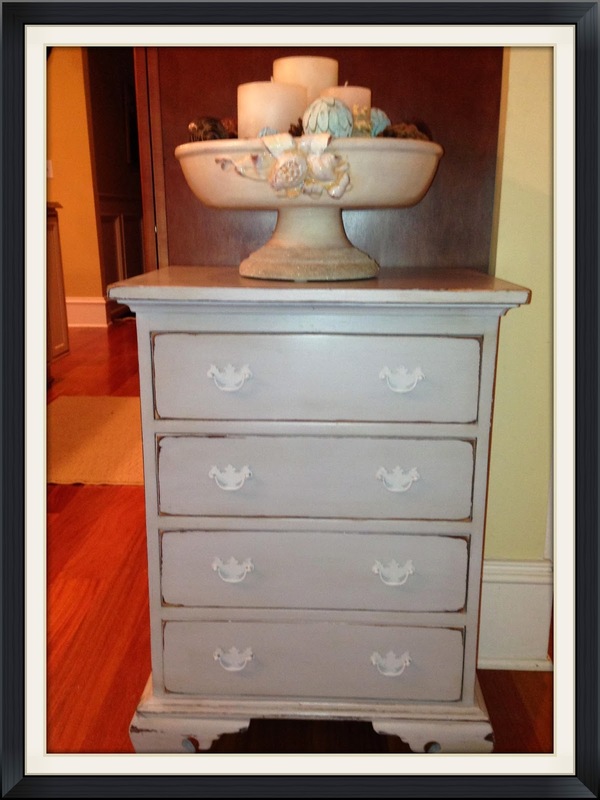 Do you want a stained piece that looks like it has an antiqued effect? 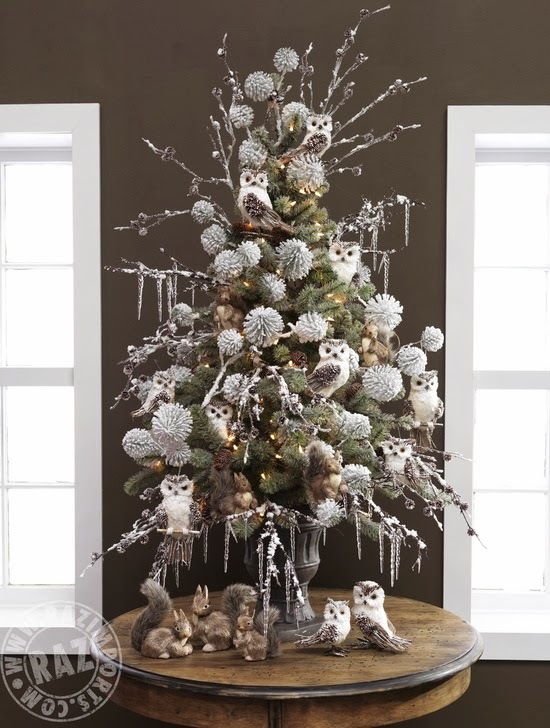 You can get all of these looks with Annie Sloan dark wax. As you start this process you will need your dark wax, wax brush, clear wax, clean cloth and very fine 0000 grade steel wool. 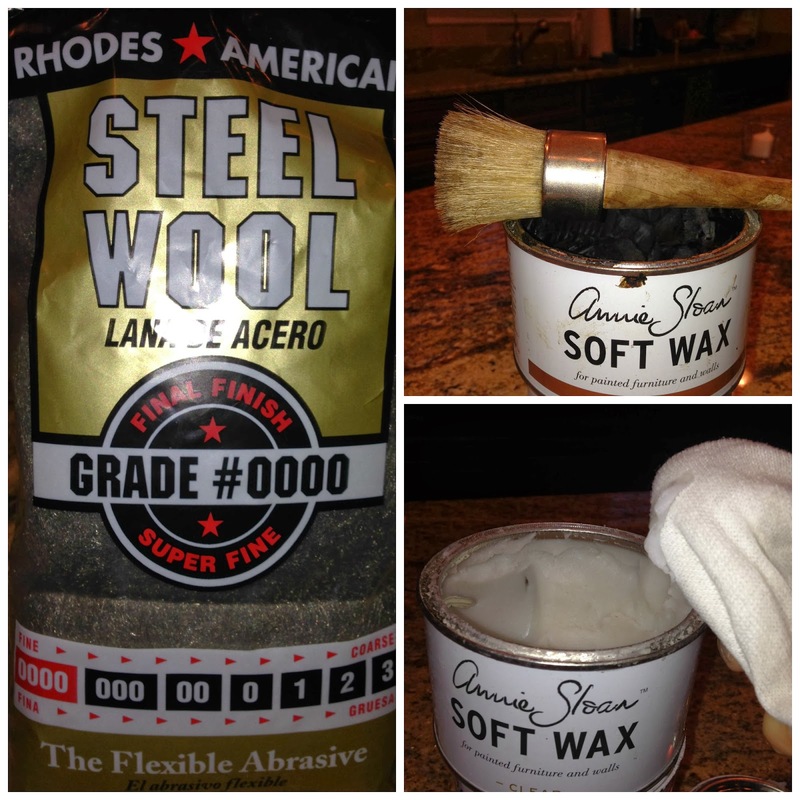 You don't have to have the steel wool, but I find this gives a better finish. 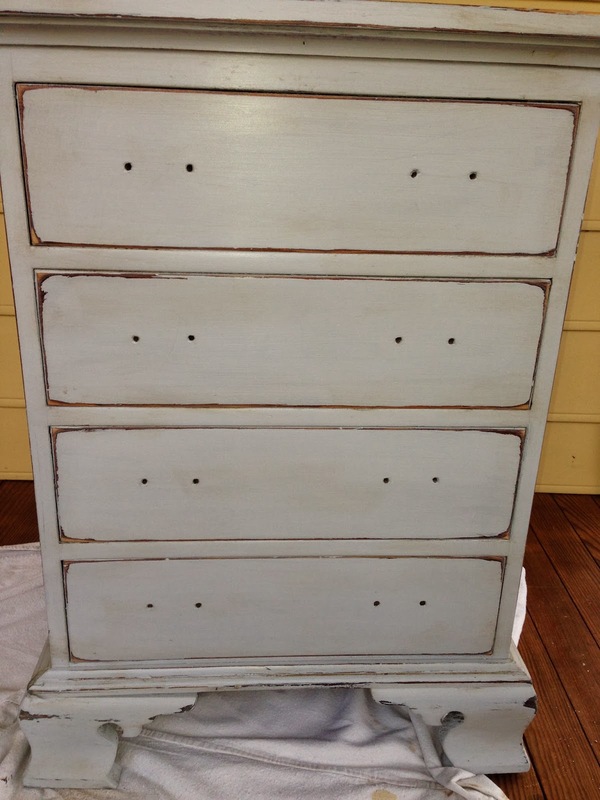 I am starting with a piece that was painted with paris grey, distressed and clear waxed. You can see each process on my tutorials page. Take a small amount of wax on your brush and lightly brush on the areas that have been distressed. Immediately after you rub on your dark wax, take a 0000 steel wool pad and wipe (with the grain) the dark wax into your wood. You essentially are brushing the wax on and then wiping it off. A small amount of dark wax will remain and age your piece. 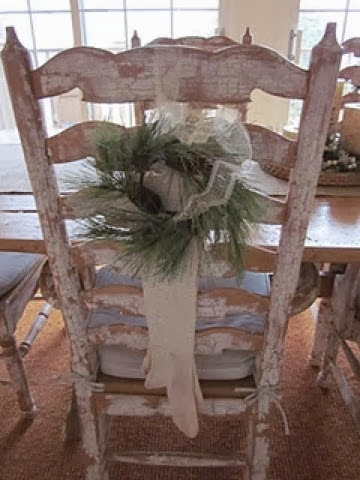 Do this on all of your distressed edges, around the corners and on areas that you want to look more worn. You do not want to cover your piece with dark wax like you did with the clear wax. This is much more selective; putting the wax on distressed areas and blending in some of the surfaces. I do not like to cover my piece with dark wax. I use it as an accent, covering certain areas lightly. If you get too much dark wax on your piece, take a clean rag and put a little clear wax on it. Use this as an eraser to rub into the dark wax and take some of it off. For a complete tutorial on how to do this, check out my video on dark wax below. Have fun with the dark wax. Play around with a piece of old wood and see which way you like it. If you have any questions, let me know. Everyone loves to celebrate the holidays, myself included. 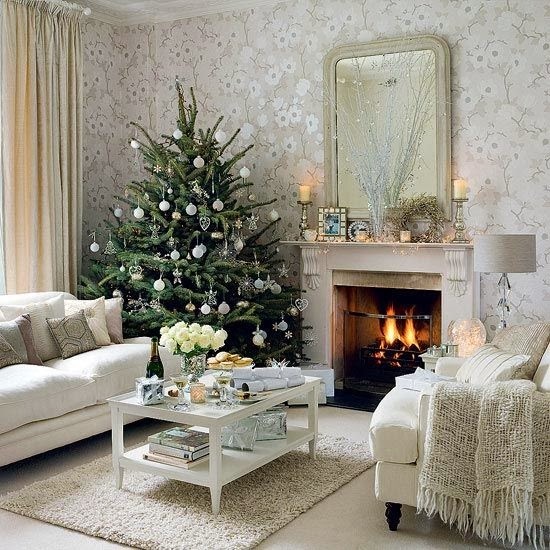 But today, I want to take a break from painting and decorating and buying presents to put under the tree. Today, I want to remember my reason for the holiday season. My reason to celebrate the holiday season is found in a manger. It is the reason there is a "Christ" in Christmas. Sometimes we get so busy that we let the real meaning of the holiday get away from us. In many places today, some people want to take the "Christ" out of Christmas. I can't do that. 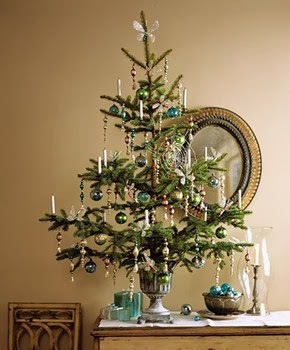 So here, in my own abbreviated words, is how the celebration of Christmas and the symbolic nativity started. Over 2000 years ago, Mary lived in Nazareth. She was to marry a carpenter named Joseph. She was unaware of her importance until an Angel appeared before her. She was to have God's baby. Mary and Joseph married and made a long journey to Bethlehem. When they arrived, there was no room in the inn but there was room for them in a stable. Jesus was born that night. Shepherds were in a field nearby tending their flocks. An angel appeared to them with great news. The angel told them that the Son of God was born today in Bethlehem. He said the baby is wrapped in a cloth, lying in a manger. The shepherds found the baby and were filled with great joy. They told everyone about the angel and the baby and how this was God's Son, sent as our Savior. That same night, wise men were traveling on their camels when they noticed a bright star in the sky. They knew then that the King of the Jews had been born. The wise men went to King Herod, ruler of Israel to see if he knew where to find this special baby. When Herod heard this, he grew worried and sent everyone out to find Jesus. 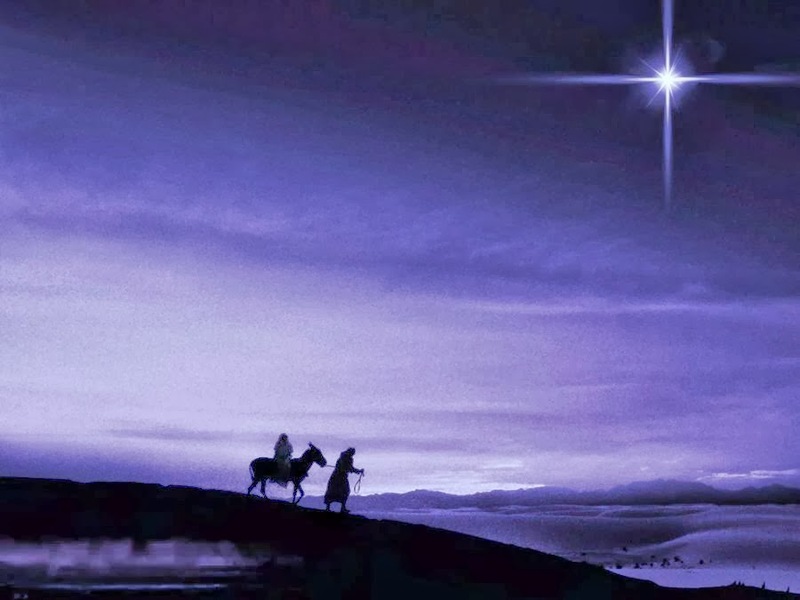 The wise men followed the bright star that led them to a manger in Bethlehem. 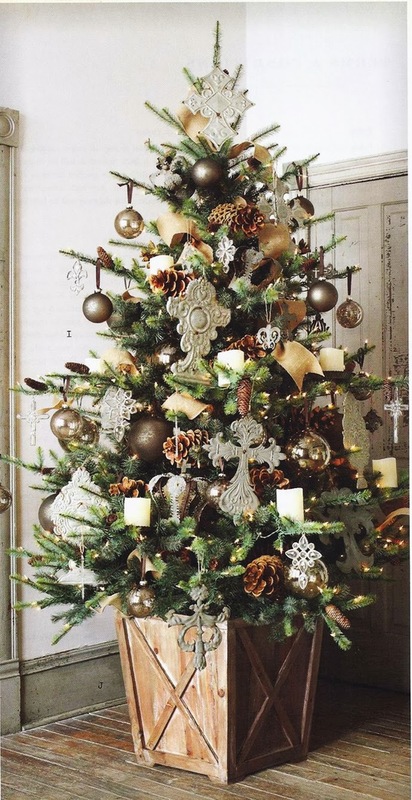 It is said that they kneeled and worshiped the baby and brought gifts of gold, frankincense and myrrh. That night, each of the wise men had the same dream. They were warned by an angel not to go back to King Herod and tell him where to find the baby. Kind Herod, unable to find Jesus, ordered every child under two years old to be slaughtered. This decree took the life of his own son. Mary and Joseph were instructed by angels to flee Bethlehem and go to Egypt. King Herod never found the baby. St. Francis of Assisi created the first living nativity in 1224 to help explain the birth of Jesus to his followers. Today, nativity scenes are re-enacted throughout the Christmas holidays on church lawns and at holiday festivals. 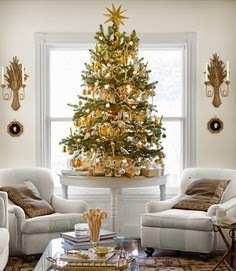 Many families have their own nativity scenes displayed in their homes symbolizing the importance of this special "eve". I grew up with a nativity set similar to the one above. My brother and I would race to set up the scene of the nativity each Christmas as the tree went up. It sat under the tree and was a reminder of the true meaning of Christmas - the birth of Christ. So with all the hustle and bustle, if you celebrate Christmas, take time to celebrate the true meaning. 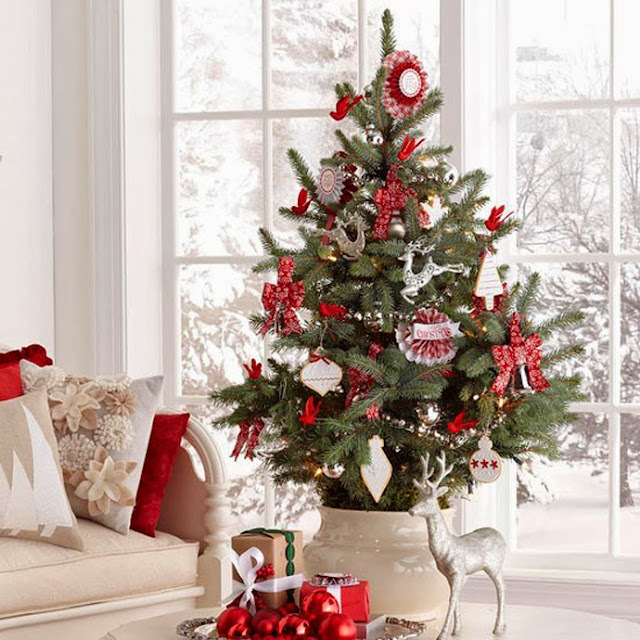 For those of you that celebrate your own holiday(s) and traditions and meanings that are different than mine, I wish you a wonderful joyous holiday season too. 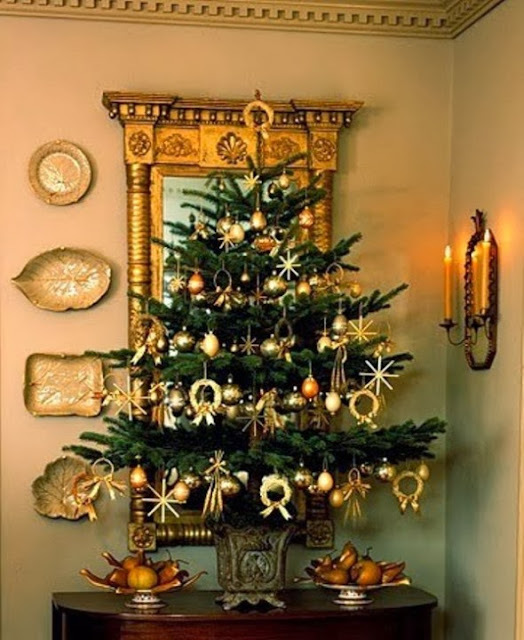 Are you going to a holiday party this year and you are not sure what to bring the host/hostess? Here are 12 fail safe gifts that your host/hostess will love no matter what. These are gifts that you can find virtually anywhere. 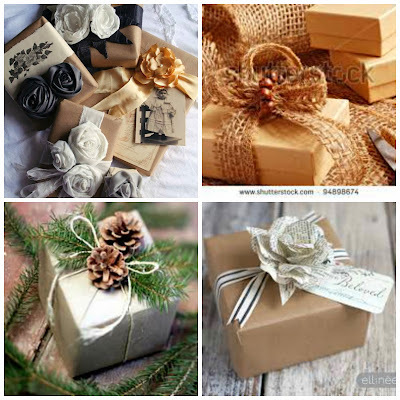 With some pretty tissue paper and ribbon you have a fabulous gift that says "thank you and happy holidays". Now you do have to give some consideration to your host/hostess but I'm sure that one of these gifts will work for even the most picky person. 1. The Jewish housewarming gift is traditionally salt for spice, sugar for sweetness and bread for sustenance. 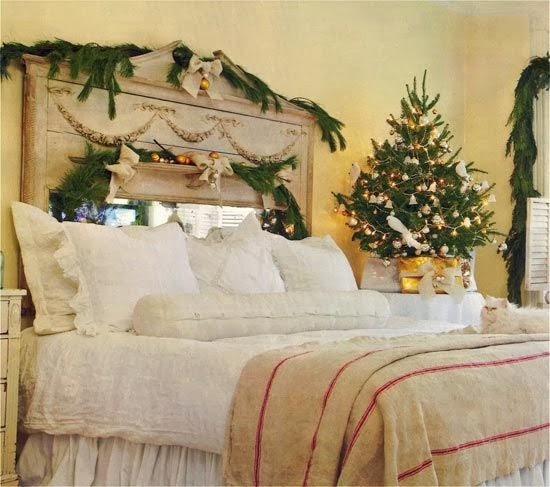 Throw in a small bottle of olive oil and a holiday hand towel and you have the perfect holiday thank you. 2. Fresh Rosemary - The Virgin Mary is said to have spread her blue cloak over a white blossomed rosemary bush when she was resting and the flowers turned blue. The shrub then became known as the 'Rose of Mary'. Perfect for the Christmas season! 3. Pick a meaningful wine stopper and bring it with a bottle of wine. 4. Buy a really neat soap dispenser that can be used in a guest bathroom or kitchen. 5. For coffee drinkers, buy monogram mugs and a favorite bag of tea or coffee beans. 6. Everyone loves a good candle. 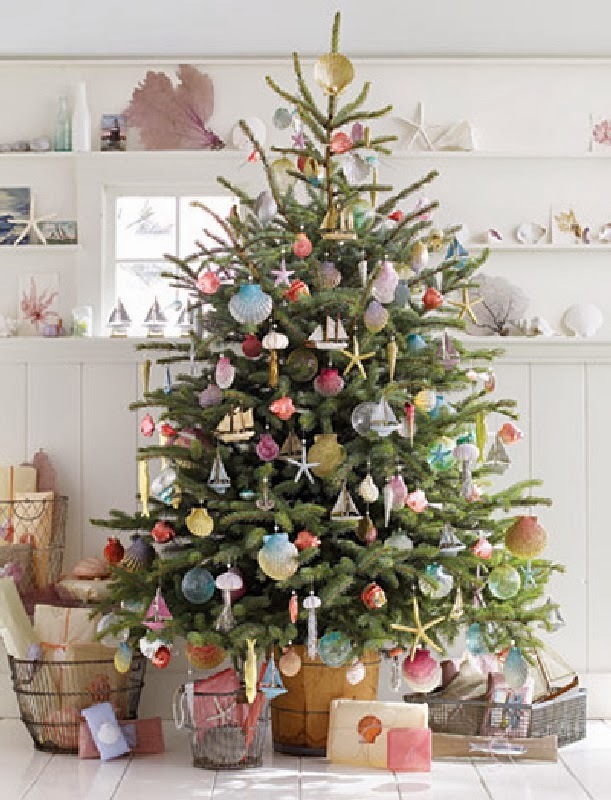 The Frasier Fir is a no brainer. I'm not usually a fan of candles as gifts because scents are personal. But this one....is a good one. 7. 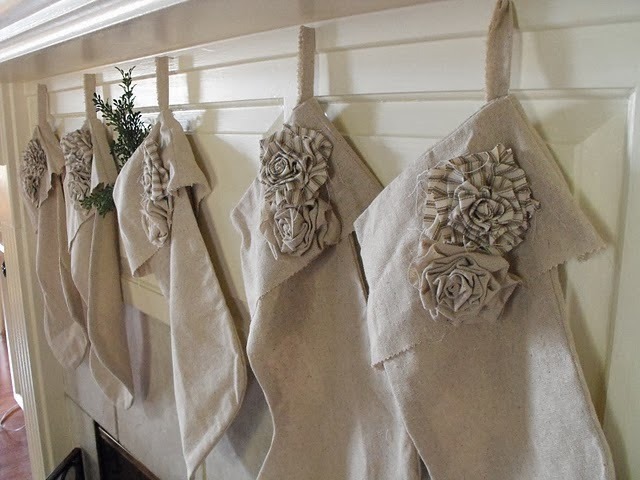 Find a special ornament that is meaningful to the hostess or one that will remind them of you. 8. For those with children, buy some nice hot chocolate and throw in some marshmallows! 9. Spiced pecans are always a warm reminder of the holidays. 10. Keys are making a decorative comeback and these old keys are actually bottle openers. Tie them together with a ribbon. 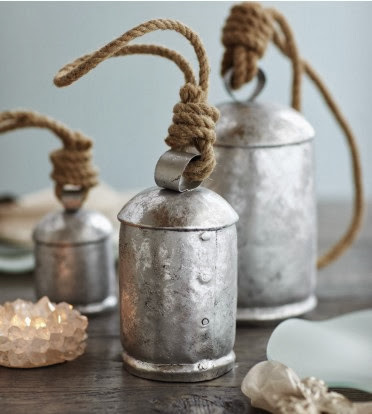 You can get these at Pier One. 12. Chocolate. If you are going to give chocolate, give Godiva. It is wonderful chocolate that few people will buy for themselves and it looks pretty. Hostess gifts are a great way to personalize your visit and to say thank you. 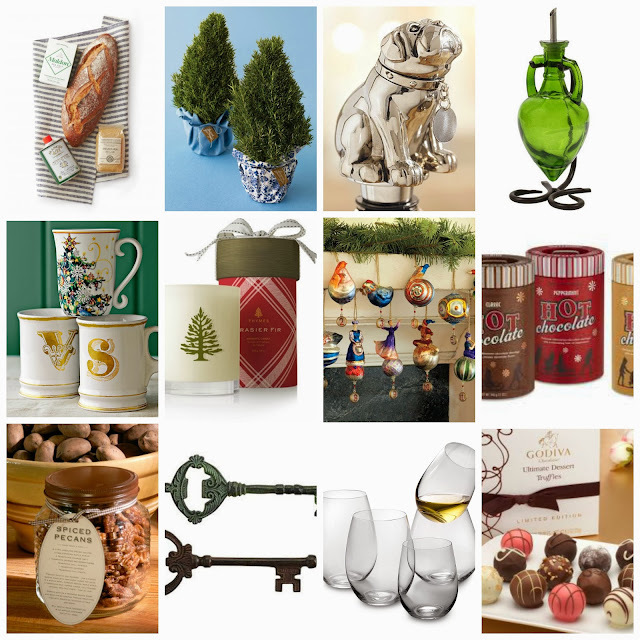 Hopefully these ideas will help make buying your gift less stressful and make your host/hostess happy.